I spent this week at a seminar entitled Exploring the Cultures of the Twin Cities, which focused on the Somali, Hmong, and Latino communities. In addition to learning a lot about the Somali and Hmong communities and the particular challenges they face in the US and in Minnesota, this seminar served to rekindle my strong feelings about immigration issues and hard borders. It’s something I used to think about quite a bit, but haven’t thought or talked about as much recently. I don’t know why, exactly. Anyway, in light of the seminar and also the immigration bill that just passed in the Senate, I thought I would share a bit about my feelings on immigration. I’m not thrilled about the bill. A path to citizenship for those undocumented already here is great, and the provisions for low-skilled workers I think are a good start. But in my mind, though it’s a good start, it’s not enough, and of course the piece adding border control agents and extending the fence along the border definitely takes us in the wrong direction, in my opinion. Obviously I know that something more radical has no chance of passing, but my fear is that if this current bill was passed (which sounds unlikely), people would consider it “enough.” I don’t. In the interest of expediency and not reinventing the wheel when I wrote a perfectly good academic paper on this very issue just a few years ago, I’m including another paper I wrote in graduate school to explain my feelings on immigration. I will warn you that it’s pretty radical left-wing stuff, so this is probably going to rise some hackles, but it’s how I feel. Readers, of course, are free to take it or leave it. because they rest on humanness, exist prior to any rights afforded by states. International borders, as they stand in most of the world today, can be classified as hard boundaries. As defined by Loren Lomansky, hard boundaries are “demarcation[s] not easily traversable at will which function to confer substantial benefits or impose substantial costs on individuals by virtue of which side of the line they happen to find themselves on” (Scarpellino 332; emphasis mine). The division of the world’s landmasses according to hard boundaries, then, creates a situation where some people are born into poverty and others into wealth. Those born into poverty have very little chance of overcoming this system to make a good life for themselves and their families. Hard international boundaries are maintained for political and economic reasons that fail to address the inequality created by such boundaries. Soft boundaries, on the other hand, are “characterized by the lack of impediment to the flow of goods, capital and people” (Scarpellino 332). It is the end of this definition that renders soft boundaries much more desirable, from a human rights standpoint, than hard boundaries. According to the North American Free Trade Agreement, for example, goods and capital are already allowed to move freely across the border between Mexico and the US, but people are not. This has created a situation where the “free movement” of cheap US food and products into Mexico and other Latin American countries has destroyed local farms and businesses, forcing large numbers of Latinos to cross the US-Mexico border illegally in order to find work in the United States. Using the US-Mexico border as a case study, I argue that such hard boundaries violate human rights and perpetuate white privilege. So randomly recently I’ve had several people ask to read this paper that I wrote for a class back in 2008. I’m posting it here for general consumption. WARNING! Super nerdy content ahead! As any Trekker knows, Star Trek began as the brainchild of the visionary Gene Roddenberry. Not only did Roddenberry conceive the idea of the Star Trek universe, he also wrote or co-wrote many episodes of The Original Series and of The Next Generation. In the United Federation of Planets and its exploration-focused military force, Starfleet, Roddenberry created a utopian society based on humanism, friendship, tolerance, freedom, and mankind’s ability to overcome its basest instincts in favor of its inherent potential for goodness. Although Roddenberry can accurately be called the father of Star Trek, the franchise’s development, like that of any child, was not influenced by its parent alone. As Jon Wagner puts it in his book Deep Space and Sacred Time: Star Trek in the American Mythos, “popular entertainment is always influenced, through a variety of direct and indirect avenues, by public taste and shared cultural assumptions” (8). Thus, the proverbial village had a hand in Trek’s rearing. Trek’s status as a shared cultural experience allowed the franchise to grow into one of the most enduring and popular myths in modern day America. Trek also makes exceptionally good mythic material due to the fact that it is set in the future. This may seem somewhat counterintuitive since traditionally, myths are set in the past, but in today’s science-focused society, we have the tendency to dismiss anything that is not factual and verifiable as “just a story.” That is not to say that myth is dead in modern day America – we have simply found different ways to frame our myths in order to make them plausible. One such way to accomplish this is to do precisely what Trek does: set the story in the future. Wagner writes, “both the future and the primordial time-before-time stand apart from concrete history, but with a big difference: the past either happened or it didn’t; but the future might happen” (7). The future is a blank canvas through which our logos-driven minds can be free to imagine a state of existence to which we can aspire. 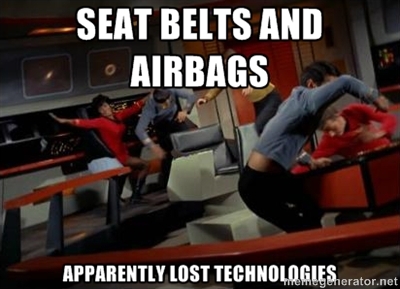 Like all utopias, however, Starfleet is not without its problems. As mentioned above, Roddenberry’s vision of the Trek cosmos places particular emphasis on freedom and tolerance—ideals that often conflict with one another. Starfleet’s General Order No. 1, which prohibits Starfleet members from interfering with the development of other societies, is often a casualty of this conflict. This order, known as the Prime Directive, places tolerance of cultural difference in a position of utmost importance in Starfleet’s credo. Interference can range from revealing the presence of life on other planets to societies that are not yet aware of this reality to exposing a culture to a technology they have not yet developed themselves to aiding one side over another in a war or conflict. Clearly, the latter situation presents a moral dilemma when one party is oppressing or exploiting another. Which is more important: the oppressed or exploited society’s right to liberty, or Starfleet’s non-interference policy? Trek’s answer to this question varies depending on the social climate in the US and in the world at the time of the series in question: The Original Series tends to value freedom over diversity; The Next Generation places respect for cultural difference over the pursuit of liberty; Deep Space 9, in the postmodern spirit of the 1990s, attempts to mediate the two perspectives; and Enterprise represents a return to innocence of sorts, backing away from postmodernism and reaffirming respect for diversity as the pinnacle of enlightenment. I’m finally getting around to blogging about chapter 3 of Susan Cain’s book, Quiet. This chapter, entitled “When Collaboration Kills Creativity,” talks about the phenomenon that Cain calls “the New Groupthink.” This phenomenon, Cain explains, “elevates teamwork above all else” (75). It is responsible for the fact that, according to a recent survey, 91% of high-level managers think teamwork is the key to success. It is responsible for the transformation of workplaces to open floor plans, in which 70% of today’s employees toil. It is responsible for the “pod” model in elementary schools, consisting of pushing desks together to form little groups. It is, in short, responsible for many of the things that make an introvert’s school days and professional lives miserable. Cain theorizes that although the ideals New Groupthink had been on the rise for quite some time, the catalyst that led to its crystallization was, ironically, that introvert refuge, the Internet. The Internet produced the likes of Linux, Wikipedia, MoveOn.org, and other such collectives endeavors that were “exponentially greater than the sum of their parts [and] were so awe-inspiring that we came to revere the hive mind” (78). But, Cain points out, “if you had gathered the same people who created Linux, installed them in a giant conference room for a year, and asked them to devise a new operating system, it’s doubtful that anything so revolutionary would have occurred” (80). In short, many of the things that make online collaboration so fruitful—asynchronicity, anonymity, isolation, flexibility—are lost when the same type of collaboration is attempted on a face-to-face basis. Indeed, working in solitude is an important skill, and often more effective than working in a group. A well-known study by research psychologist Anders Ericsson found that musicians who spend time practicing alone, rather than in a group, are more likely to become elite musical performers. This principle carries over into other fields, from chess players to elite athletes. Ericsson theorizes that practice time alone is so powerful because it is the only time one can engage in “Deliberate Practice,” which, according to his research, is the key to exceptional achievement. In Deliberate Practice, Ericsson contends, “you identify tasks or knowledge that are just out of your reach, strive to upgrade your performance, monitor your progress, and revise accordingly” (81). Since these things are largely individual, it makes sense that Deliberate Practice is best done as a solitary activity. Cain points out, however, that “exceptional performance depends not only on the groundwork we lay through Deliberate Practice; it also requires the right working conditions” (83). And these working conditions may not be those favored by the New Groupthink. In fact, there is significant evidence suggesting that independent work is more fruitful than teamwork. A study called the Coding War Games sought to determine the effect that social interaction, such as in a workplace with an open floor plan, affected productivity. In this study, designed to discover what differentiates the best computer programmers from the worst, over 600 developers from 92 companies were assigned to develop a program working in his or her normal office space. Each developer was to work independently. The study revealed that the best developers were 10 times better than the worst developers. Factors that one might assume would account for this huge performance gap, such as years of experience, salary, time spent working, did not explain the outcome. It turns out that the majority of the top performers worked for companies that “gave their workers the most privacy, personal space, control over their physical environments, and freedom from interruption. Sixty-two percent of the top performers said that their workspace was acceptably private, compared to only 19 percent of the worst performers; 76 percent of the worst performers but only 38% of the top performers said that people often interrupted them needlessly” (84). 62% of the top performers said they had adequate privacy at work, compared to only 19% of the worst performers. 76% of the worst performers said people often interrupt them needlessly at work, compared to only 38% of the top performers. These statistics make it hard to see what’s attractive about an open-plan office—especially given that another study identified interruption as one of the biggest barriers to productivity! And there are even more reasons that open floor plans are a bad idea. People working in open-plan offices are exposed to more germs, which leads to more sick days and the more frequent misery of not feeling well. They are exposed to more noise, which raises cortisol and activates the body’s fight-or-flight mode. Not only do open-plan offices reduce productivity, but they also “make people sick, hostile, unmotivated, and insecure” (84). No wonder they are also associated with high staff turnover! The chapter goes on to discuss other ways in which collaboration decreases productivity, such as group brainstorming, which, evidence suggests, doesn’t actually work. But the section on privacy and quiet in the workplace was of most interest to me, since this is something I struggle with a lot at work. I wrote before about Working From Home, so I won’t rehash that here, but suffice it to say that conditions at home make me much more likely to be among the “top performers” than conditions in my office. Several people have suggested Susan Cain’s work as material for my blog, and my dad gave me a copy of her book, Quiet, for Christmas last year, so I figured I’d take that advice (wouldn’t I make a great leader… see below!). I’ve finally finished reading it, so now, submitted for your approval (or not), here are my thoughts. Basically, chapter 1 talks about the change that took place in this country around the turn of the century from what cultural historian Warren Susman termed “a Culture of Character” to “a Culture of Personality.” Before the turn of the century, Cain explains, “the ideal self was serious, disciplined, and honorable. What counted was not so much the impression one made in public as how one behaved in private” (21). But at the advent of the 20th century, American culture began to shift toward the Culture of Personality, which emphasizes the way in which one is perceived by others. In a comparison of self-help/advice books from the 19th century and the 20th century, Susman noted that the earlier books advised the cultivation of traits such as citizenship, duty, honor, manners, and integrity. In the 20th century books, the emphasis was on qualities such as magnetism, fascination, attractiveness, dominance, force, and energy. Cain goes into a variety of interesting factors that contributed to this change, but those wishing to know more on that subject can read the book. The point for me is that, apparently, pre-20th century American society was much more introvert-friendly than today’s! One of the results of the transition from the Culture of Character to the Culture of Personality is how we define what makes a good leader. During the Culture of Character, no doubt a good leader would have been expected to be responsible, honorable, and a person of integrity. Nowadays, what we look for in a leader is, more often than not, charisma.